Hello! 😊 Welcome to our July team blog hop. This month our projects have been inspired by this gorgeous photo taken by fellow Paper Adventurer, Siobhan. She is such a talented photographer! 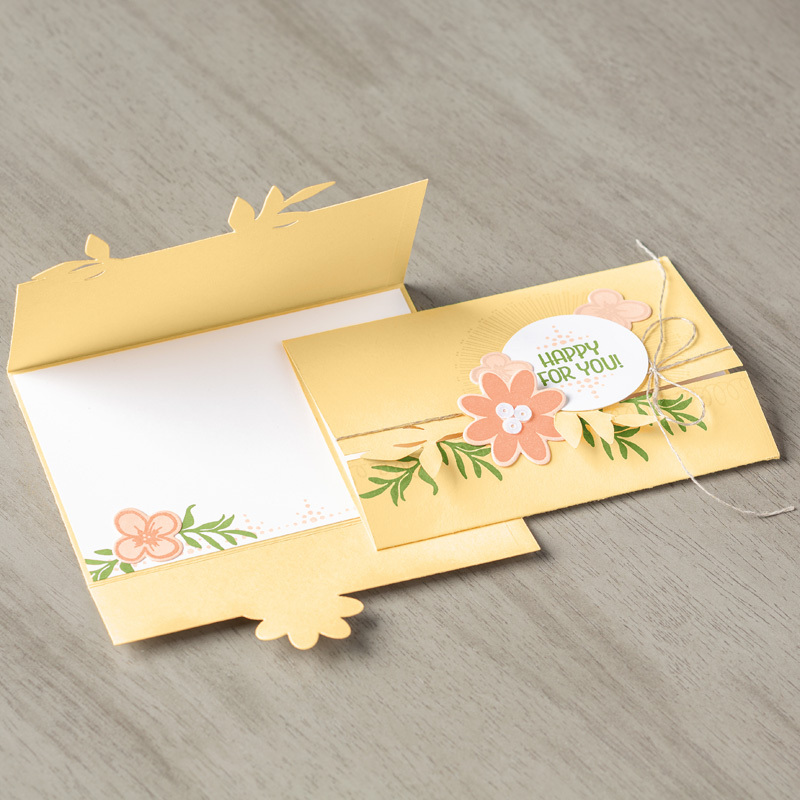 When a sketch or photo is provided for inspiration, I’m always so impressed by cards where the inspiration is used in a surprisingly creative way – such as a stamped image representing one of the layers or changing the orientation of the sketch. I’m so literal… As soon as I saw the picture my matchy-matchy brain picked out the colours and imagined a project with flowers and bees. 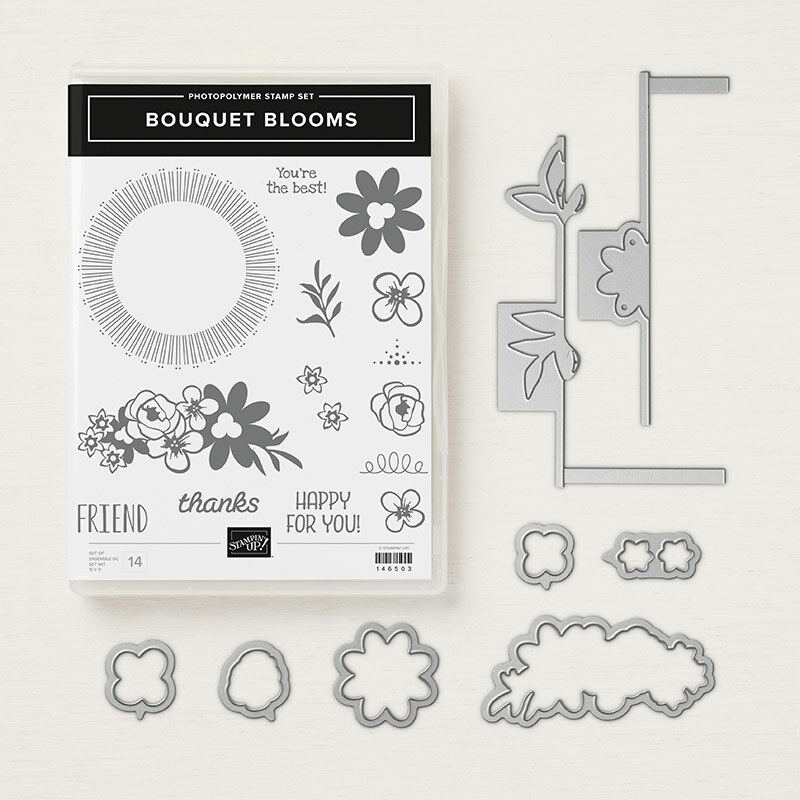 And the first set I thought of was Bouquet Blooms. This was the only set I had on my wishlist when I first saw the new catalogue. (Not the case now I assure you.) The stamp set comes in a bundle with framelits. I love being able to cut out the flowers and the gatefold card is a great element! Both of my projects were cased from the catalogue. Like I said, I’m literal! Although, I think I changed them up enough to put my own touch to them. Isn’t it fun to get a brand new stamp set inky? Lovely Lipstick, Poppy Parade and Grapefruit Grove are the colours I chose for my flowers, and I used blender pen to soften the colour, it looked a bit stark initially I thought. My first card is a traditional A5 size. The gold cardstock is one I found in my hand-me-down stash so I have no idea where it’s from, but I liked the brushed look rather than shiny foil or sparkly glitter for these cards. And I snuck in a retired gold faceted gem for a bit of bling. 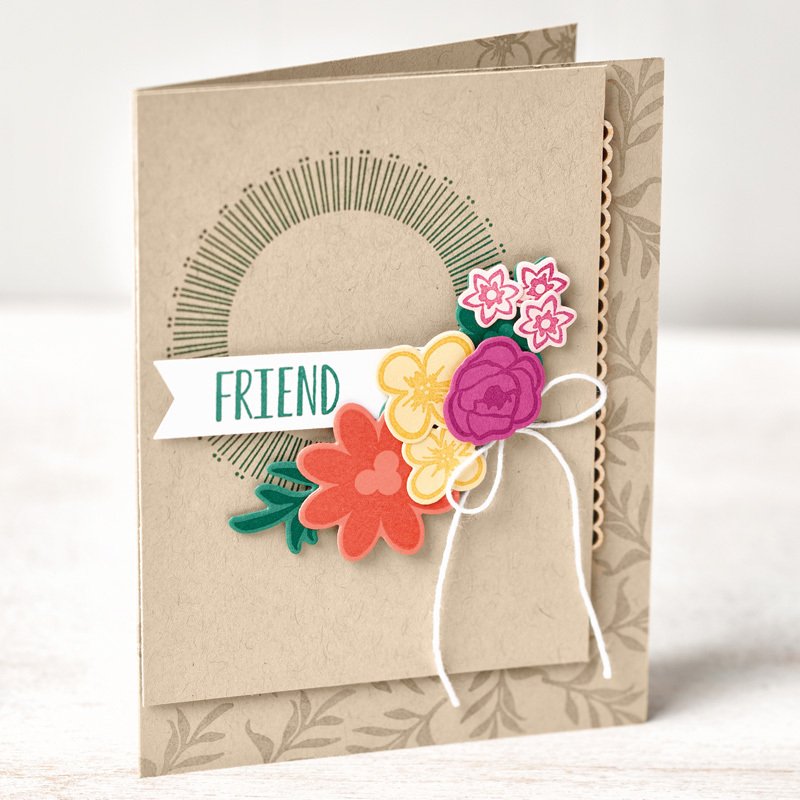 My second card features the floral gatefold, which is so easy to create with the framelits! Starting with a piece of card 5″ x 7″, the framelits even mark where you need to score so the flaps align just so. The final card is a bit smaller than traditional card size, and doesn’t quite stand on its own, but I don’t think the receiver would mind! This is what the card looks like before it is folded. Did you notice I folded mine the opposite way to the catalogue sample? Thank you for visiting my blog. Please keep on hopping to visit lovely, sweet Mandy and see her beautiful creation. Are you literal with your interpretations? (Like me!) What colours would you have picked? Or are you swept away with fanciful inspiration? How would you be inspired by this beautiful photo?